roofing contractors for Bremerton, WA. Deere Hawk Roofing and Construction, LLC has nearly 30 years of industry experience meaning you can rest easy knowing we are the best and most secure choice you can make for your next home improvement project. We offer a variety of different home improvement services. We are expert metal and asphalt shingle roofers who can advice you on what is the best choice for your home's new roof. As seen in the before and after photo above, a new roof for your home will not only offer exemplar waterproofing and weather protection it also greatly enhances the appearance of your home. We are a family owned and operated roofing contractor. Our founders have been in the roofing industry for over 30 years and have installed 100's of roofs. We focus on installing quality roofing systems to each and every one of our valued customers. 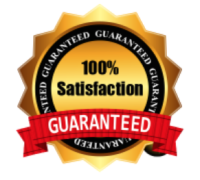 We are a certifed roofing contractor that installs lifetime warranted roofing systems. Imagine a 50 year roofing system that you do not have to worry about for decades protecting your home and family worry free.